New insights that have implications for cell regeneration and tissue repair research, at Tufts University, have been discovered by scientists. They show that amputation of a limb reveals the bioelectric characteristics of the other unharmed limb of frogs that are developing. Bioelectric patterns in the healthy limb of depolarisation shows a direct correlation of the location and type of injury. It indicates that in 30 seconds on injury the data on cells that have been damaged is available to their symmetrical counterparts. This recently discovered phenomenon is labelled, ‘bioelectric injury mirroring’ or abbreviated as BIM. It is described in detail in the following research paper. 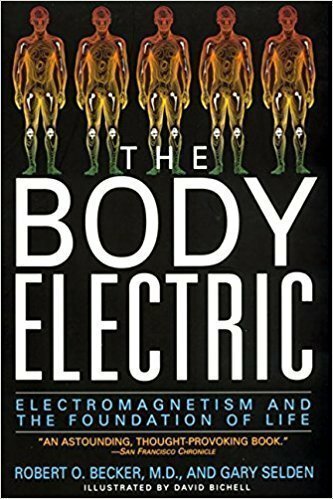 I have discussed about Bioelectricity on limb regeneration research in the past, and in particular the research of Dr Robert O. Becker in his excellent book The Body Electric. It is interesting what is being revealed now considering what was discovered in Becker’s work which is well ahead of its time. Becker’s research is one of the first scientists to show how our bodies are really like semi-conductors of electricity. However, the scientific community ignored his work and did not take it seriously. But now researchers in the field of regeneration are having a great deal more sympathy with his research and considers as fact that electricity plays an important role in healing. Dr. Becker functioned as an Orthopaedic Surgeon and was successful in applying electric silver ions to regenerate bone tissue regrowth that would normally not be possible. He put forward a theory that magnetic crystals would be discovered to be existing inside the human brain. This observation has since been proven and validated by science. His book and indeed all of his research is highly recommended. He was a fantastic pioneer especially in his research on regrowing human limbs and the astonishing possibilities associated with this. 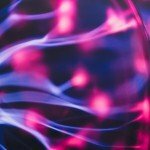 The Bioelectric phenomena that the above paper highlights is a classic case of how Robert Becker’s work is getting more recognition and scientists are acknowledging that bioelectricity is an important part of cell regeneration. This bio-electric characteristic is called by cells that generate a voltage potential across the cell’s membrane. This is done by pumping charged ions into or diffusing out of the cell. Usually cells are able to do this with patterns of the high and low end of voltage aid in the differentiation and proliferation of the cells. Also this help in the pattern development of organs and tissues in the embryonic stage. Scientists have been able modify bio-electric states to induce the regrowth of tails on tadpoles that have already matured outside the embryonic regeneration. Existing research into how bioelectricity contributes to regeneration has mainly looked at the area around the wound but the scientists at Tufts wanted to probe deeper. The team designed experiments that involved using a fluorescent dye. The purpose of this is to highlight the pattern of the electric depolarisation that would be revealed in the upper layer of skin. Busse would remove the froglets legs in the regenerative stage. They discovered the fluorescent dye showed an interesting characteristic. The healthy limb immediately within 5 seconds, took on the bioelectric states that reflected the type of injury and the location on the opposite side. Scientists involved in this project have considered if such data was transported by the neural communication via the spinal cord or central nervous system. However, the BIM signalling was not restricted when the central nervous system communication was stopped. Dr. Michael Levin whom specialises in the research of limb regeneration and was one of the scientists involved in this project. He points out that what is significant here is it was not just the case of the depolarisation in the healthy limb detecting the injury on the other side but it also mirrored the information about the location of the amputation. As a quick side note, I am wondering if this is related in anyway to the ‘phantom’ limb syndrome that amputees experience after limb loss? I will discuss this topic in another article in the near future. Dr. Levin also mentioned about their research looking further ahead and commenting about this study, that they will be implementing more accurate ‘genetically-encoded voltage sensing tools’ that can reveal a more insightful tissue information than what dyes can obtain. 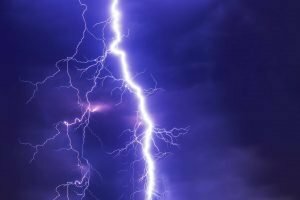 Along with machine learning techniques to collect different types of damage on the bioelectrical signalling signatures. This bioelectric signalling is like the super information highway or the biological internet with data being sent around the body and decoded at different points in the body. If you look at Acupuncture and in eastern mysticism known as ‘prana’. This is starting to become more integrated or acknowledged but defined differently in the scientific paradigm. Levin’s continuing work will allow a deeper understanding of the BIM (bioelectric injury mirroring) process. So the next steps will involve investigating to understand how the long range signalling in the body works with the information content being transmitted. 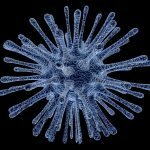 Thus, enabling the development of surrogate site diagnostics for many different diseases. 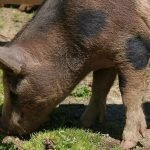 How do you feel about this article and the research? Comment below and giving your insights or opinions on this kind of research. This body of work at the Tufts University is one part of their research into Organ and Limb Regeneration. In a future next article I will be continuing with Michael Levin’s work as they have recently announced a fantastic breakthrough with regrowth of frogs legs where cell regeneration would not normally occur. 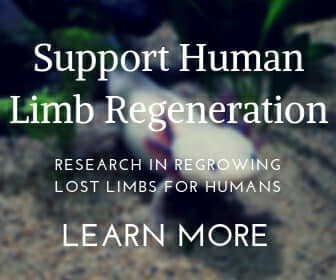 Be sure to subscribe to Limb Regrow so you can get an immediate email notification of when new research content gets published on this blog. 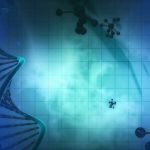 Michael Levin is one of the scientists whom specialises in Limb Regeneration and has said in the past when interviewed that he feels limb regeneration will become a reality in our lifetimes. Can you contact me regarding limb regeneration. If you wish to contact, to discuss about limb regeneration. The best way is through the contact form and correspondence is via email.